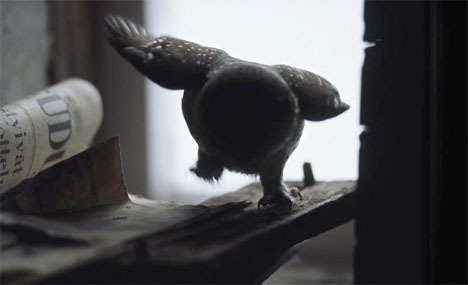 A Russian ghost town on a Norwegian island in the Arctic, decaying modernist houses in Sweden and woodland homes taken over by wildlife in Finland are among the abandoned treasures of Scandinavia (or more specifically: Fennoscandia). 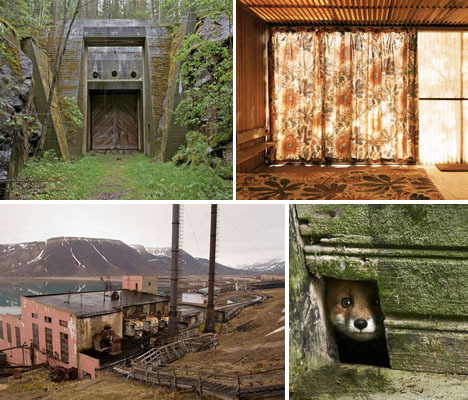 Left behind but not forgotten, these structures stand as reminders of a past now lost, whether due to the changing public view of prison-like mental institutions, the end of the Cold War or the invention of new technology that made old ways obsolete. 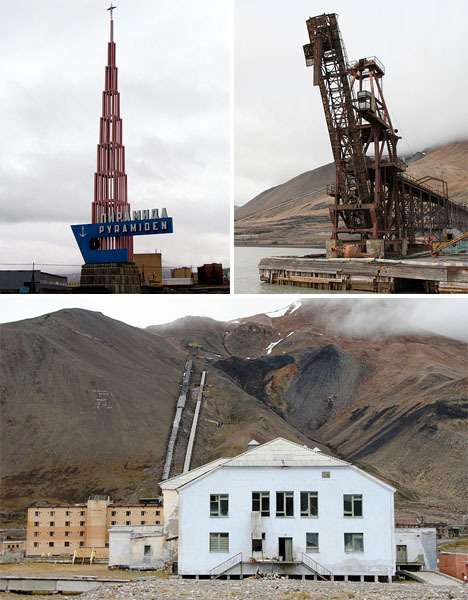 A Russian ghost town at the end of the world, Pyramiden is a coal mining community on the remote Arctic archipelago of Svalbard, Norway. It was founded in 1910 by the Swedish and sold to the Soviets in 1927, and was once home to 1,000 people. 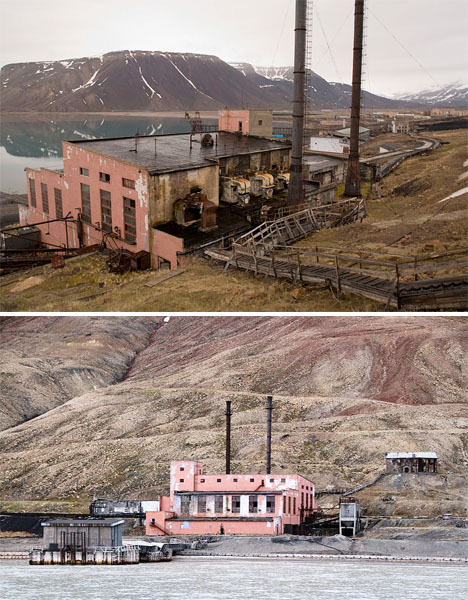 The town consists of just a handful of buildings and some mining equipment, and has been entirely abandoned since 1998, though in 2007 construction began on a hotel that enables guests traveling to the island to stay overnight. The last ton of coal extracted from the mine sits behind a spire-shaped monument bearing the settlement’s name. 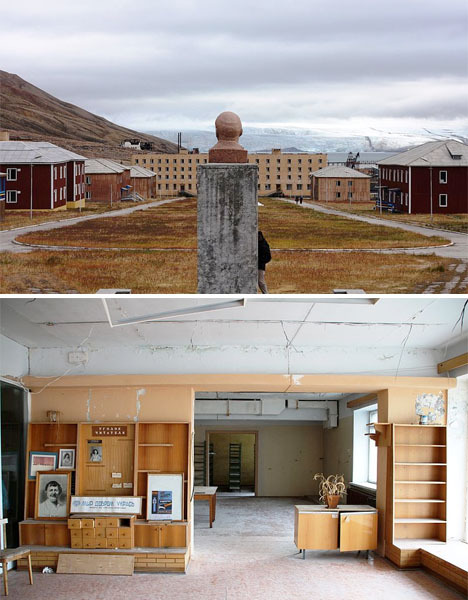 The buildings remain as they were when left behind, and because of the low rate of decay in the freezing Arctic climate, they’re expected to remain visible 500 years from now. 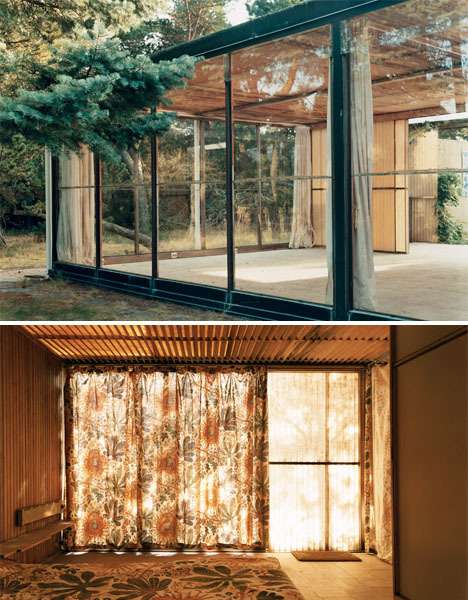 This glass-walled home was the epitome of Swedish modernity in the 1960s, designed by architect Bruno Mathsson and once full of the sleek midcentury modern furniture for which he remains most famous. 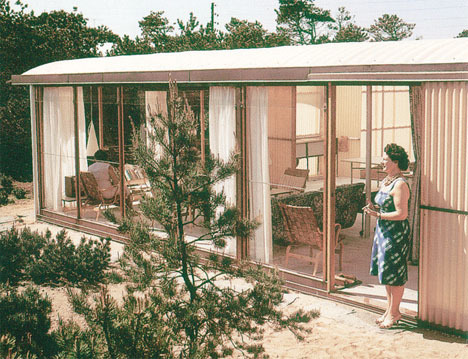 Mathsson designed this home and two others like it as ideal showcases for the fitness-obsessed, nature-centered nudist lifestyle, but the homes were abandoned at some point and have been empty for decades. 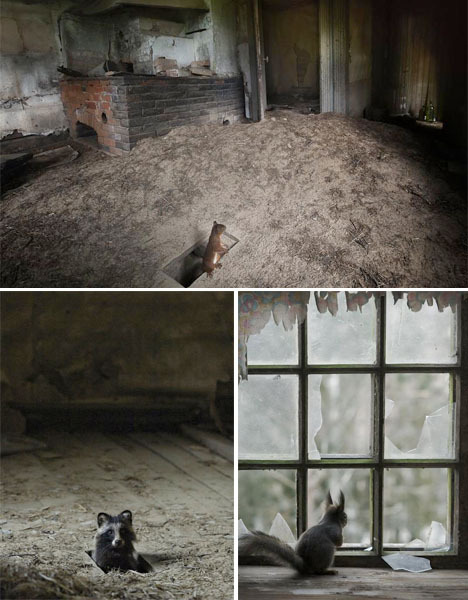 Photographer Mikael Olsson has spent the last decade visiting and documenting two of the houses, revealing their descent into disrepair. This group of homes in the Finnish woods may have been abandoned by people, but they provide a safe haven for a wide array of wildlife. 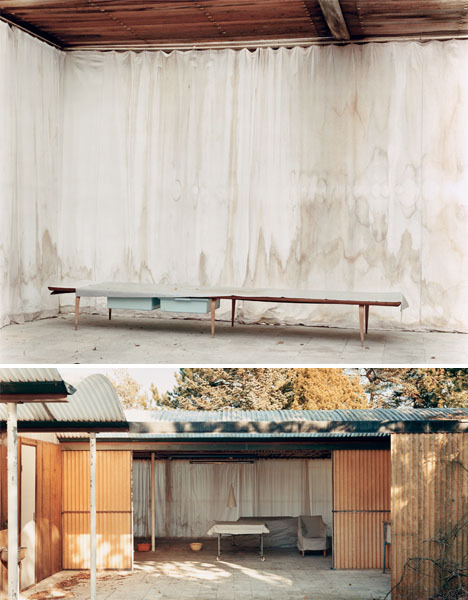 Photographer Kai Fagerström discovered the houses near his family’s summer home in Salo, left behind after their inhabitants passed away or relocated. 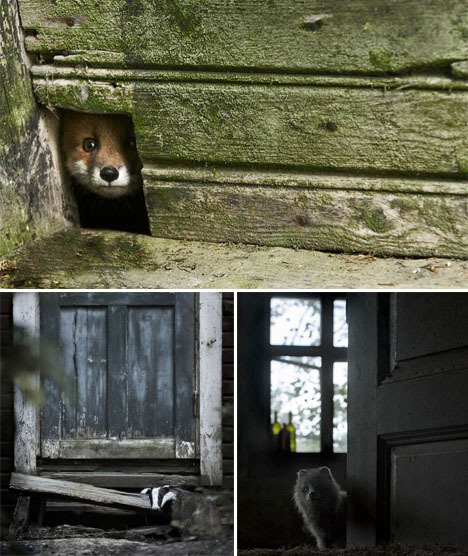 Inside, he has documented raccoons, squirrels, skunks, foxes, owls and many other creatures making themselves comfortable. 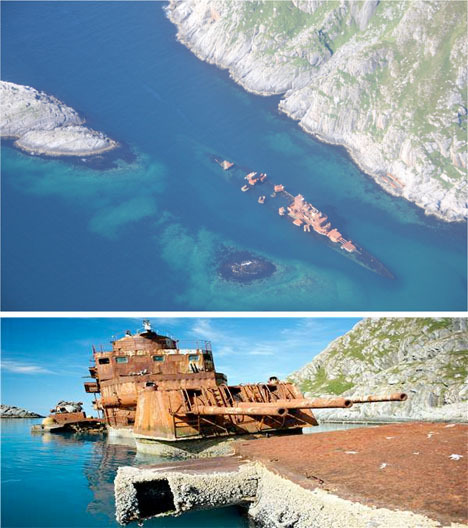 Rusting in the waters just off the coast of the Norwegian village of Sørvaer after running aground, a Russian cruiser waited nearly twenty years to be rescued. 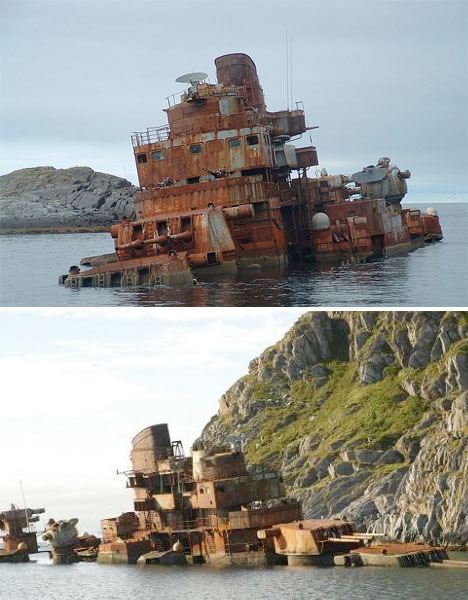 The Murmansk was commissioned in 1955 and remained in service until 1994, when it was sold to India for scrap, but it never made it to its intended destination, partially sinking into the sea. The process of retrieving it was complicated by the possible presence of radioactive substances aboard the ship, the rough seas and the extreme climate of the area. In 2009, funds were raised to build a dry dock to start the process of dismantling it. The wreckage actually looks much smaller than it really is – those waters are hiding the vast majority of the ship.